My daughter keeps calling these paleo biscuits “cookies”. When my husband tasted them last night he practically declared a holiday in honor of Cara at Health Home & Happiness, who shared them in her Grain-Free Meal Plan (which has been a lifesaver since starting GAPS, btw!). Whether nor not you’re following the GAPS diet these biscuits are a MUST try. Only three steps and they’re ready to bake, too! Pair them with hollandaise sauce for a added yum factor and test them out on your kids. I bet you’ll be surprised! Thanks Cara for letting me share your recipe! Preheat oven to 4oo* F.
In a food processor or high powered blender blend all ingredients until smooth; the walnuts will turn into walnut butter. Line a large baking sheet with parchment paper or grease with coconut oil. Use a tablespoon to drop rounded tablespoon-fulls of batter 2 inches apart on the parchment paper, making 12 drop biscuits. Bake for 12-15 minutes. 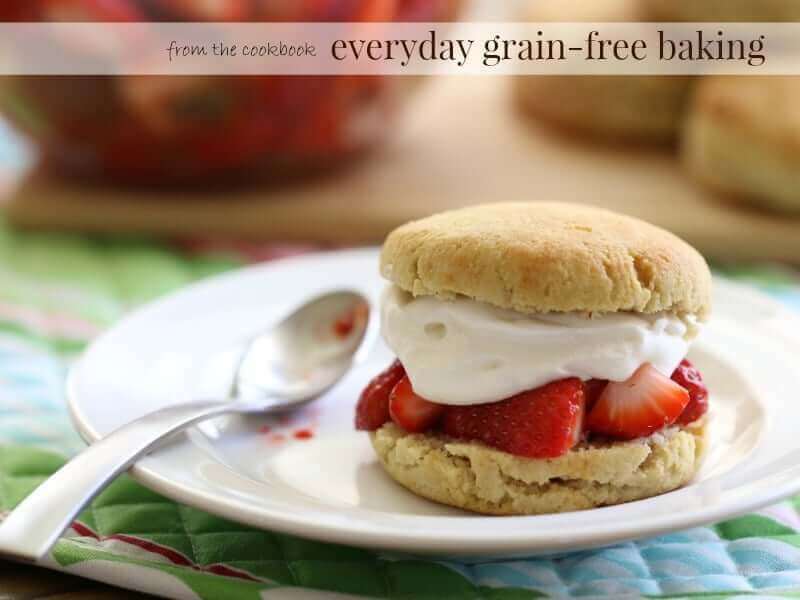 thank you for posting- we are wheat & dairy free over here & are always looking for “bread” ideas! I have to make these!! DH has been craving walnuts like crazy this week. Kristina Hippman – – Oh wow, I had no idea ya’ll were doing that. Did you notice Miss T had a sensitivity or was it some other reason? Either way, I hope you love these!! We are all allergic to dairy proteins, Dan & T can’t do soy, & I can’t do gluten- we see a Natural Wellness Doc in North Arlington that helps a ton. I’ve had bad luck with a lot or of the gluten free premixes- so this is exciting for me! Cara’s menu planner has been so helpful for me also in learning what to cook on the GAPS diet. I’ve held off on making these though because I feel like I am already consuming too many nuts. I eat nuts or seeds on a daily basis as snacks and I’m worried that I’m getting way too many Omega 6’s in my diet. It’s so hard to think of really filling snacks to eat and nuts always appeal to me. Do you think eating nuts on a daily basis is too much while on the GAPS diet? But since you posted this…. I’m thinking these would be great for lunch with some butternut squash soup! It is my understanding that nuts in general are higher in omega 3’s than 6’s, so we eat them on a daily basis. They are very filling which is a big deal to this nursing mama! Along the same lines, I am VERY allergic to walnuts (and most other nuts). Do you have any suggestions for altering this recipe to be nut-free? For the record, these are REALLY good. Wait… you HID a batch of these? Where are they??? I’m gonna find ’em! Too late. They’re in my belly. Do you think this would make a suitable pizza crust? If you are still looking for a grain-free pizza crust, check this one out…I’m addicted to it! Thank you, Suanne! I tried yet another recipe last week and it flopped. Will check this one out! Kristina Hippman – Yeah, those premixes may not have gluten but they have all kinds of other junk! Let me know how you like these, okay?? I’m not sure what happened but these were black-bottomed totally burned by the time I’d baked them 10 minutes. 🙁 is the temp right? I baked at 425* per recipe instructions. Oh good. We are out of eggs and I am counting the hours until we get more so I can make these again. Yummo! Where are the eggs in the recipe? I was about to make these and just assumed they would be in the recipe, but I don’t see them listed. Help! Hi Meghan – I use eggs to make the hollandaise sauce. You don’t need them for the biscuits, but if you’d like you can add three egg whites to make them fluffier . . . you’ll just need to cook an extra five minutes or so. Oh, cool. I guess I just assumed that there were eggs in the recipe because I can’t remember seeing a nut flour recipe without eggs! (I’m on GAPS too =)) Thanks so much! No eggs??? Yayyyyy! I can eat them. I made these and they are YUMMY!, but I have a question. Mine did NOT look like biscuits, they spread all out like a thin cookie. I mixed this in my BlendTec blender, and was having trouble getting it to mix up so I melted my butter. I am thinking that is probably what I did wrong, what do you think? And good to know about the BlendTec because thats what I have as well. I think its a little *too* powerful sometimes so going to get the food processor out for this one! I think my other problem was I didn’t have quite enough walnuts, so I substituted with pecans, which I thing are a little more oily? Good question! The reason is that the Cara once forgot to leave the whites out altogether, so I guessed at how many would be good. Three worked for me because I needed three yolks to make Hollandaise sauce with. Very scientific, huh? We have made them with and without baking soda. They are dense, which I don’t mind, but I can imagine it would be a disappointment to people who love light, fluffy biscuits. Just in time! We’ve been grain-free for the past week and I’m already wondering how I can satisfy my son’s (and my!) bread cravings at dinner. These look delicious! Hope you enjoy them, Jennifer! We’ve tried them many ways, but our favorite variation is to add diced jalapeno and cheddar cheese. Yum! Made these this morning for breakfast. Easy and yummy! My nuts hadnt been soaked and dehydrated but I didn’t want to spend 2 days making them crispy before trying this out 😉 thanks for posting this! They were delicious. Everybody liked them but I devoured the majority! They really are like a cross between biscuit and cookie. Mixed them in my beloved ninja and they turned out just like the pic. Will definitely make again! Just FYI, I used these biscuits in some pretty yummy Chicken and Dumplins tonight. We made crockpot chicken yesterday, ate part for dinner and deboned the rest and saved for the soup tonight. I put the bones back in crockpot with onions, celery and carrots (with 1 tbsp ACV) then let simmer for 20 hours. I left out the honey from the biscuits, and only used 1/2 of the batter in the recipe. It didn’t get thick (the flour usually thickens the broth), but it was quite tasty and even got a “yum” from the hubby (my most picky eater). Other than the fact that technically this recipe took almost 30 hours from start to finish (8 hours to bake chicken then 20 hours for stock), I literally spent maybe 30 minutes “hands-on” preparing both meals. And I have leftover soup for tomorrow. YUM! Saute the veggies, add spices and broth, bring to boil and add batter and leftover chicken. Simmer for about 15 minutes to cook biscuits and warm chicken. YUM, Sunny! Mind if I post this recipe when cooler weather arrives. I LOVE dumplings! Of course. But I failed to mention that the basis of my recipe is from Pioneer Woman. I just simplified it by using already baked chicken and substituting the healthier biscuits. We made the “real” version when we were snowed in last winter and it was just so perfect….I wanted to be snowed in forever! But alas, the snow melted and the gluten-sensitivities continued their plague. I also added the honey to the second 1/2 of the biscuits and served those for breakfast today. So 4 meals with 30 minutes prep! Ahh, have you seen her new show? Awesome! I won’t copy it then, but I am definitely inspired to try something similar. Thank you, Sunny! I had to quit following her for a while. I was coveting too much! What a life, right?! Heather, Where do you purchase nuts? I’m looking for a local or online source. thnx! I usually purchase once a year through a Bedford co-op but i ran out long ago and have been buying from Whole Foods. If you find a better price I’d love to know about it! 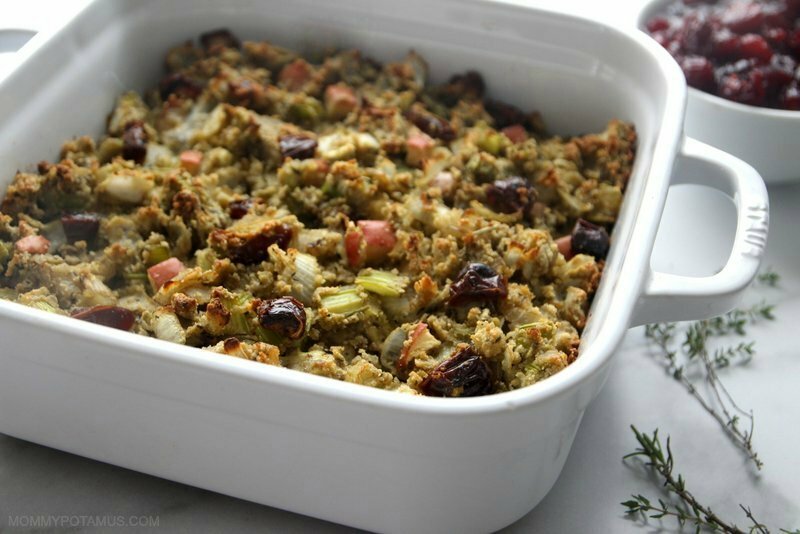 Heather, thank you for sharing (Cara too) this wonderful, easy, wholesome recipe. We’re on full gaps now and I’ve been wanting some kind of savoury bread to go with my scrambled egg/chicken/salad lunch. This was just the ticket. Yum, that sounds delicious! 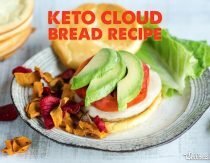 Need to get the ingredients and make a batch for my family, thanks! I didn’t have any coconut flour on hand, but they still turned out wonderfully. I’m so glad to have this recipe – I tried the nut bread recipe from the GAPS book last week, but they were really dense. 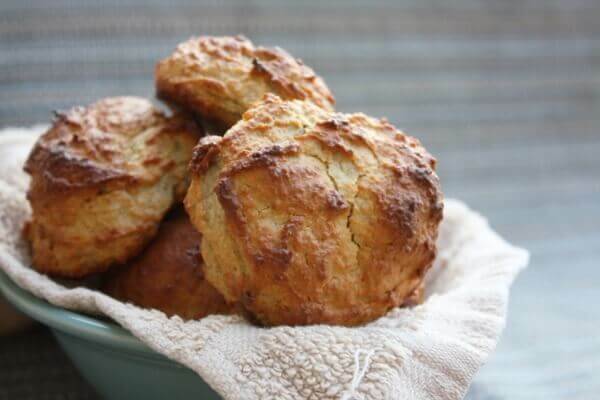 These biscuits have a great texture, I will be making them again and again! I made these last night, I got 18 of them by doing a heaping tablespoon. I wished I had flattened them a bit because the outsides were just about to burn when I took them out, but the insides still were not fully cooked. I followed the recipe exactly (egg whites and all). They were good – my children loved them so much that they ignored the rest of their meals until I finally had to remove the basket from the table! My husband was skeptical, but really enjoyed them too. I don’t think they are biscuits though. 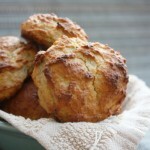 I’m from the South, where homemade biscuits are a big deal, and these were nothing like biscuits, in texture or flavor. They were fluffy, but not flaky, and they were so sweet from all the honey and walnuts that there is no way they should be called a biscuit, IMHO. Possibly a scone, although they really didn’t have a scone like texture. My son kept calling them muffins, but that’s not quite exactly it either. Hmmm….I suppose the semantics don’t really matter, since whatever they are, they are delicious!! Just wanted to mention it in case it helps future readers figure out if they want to make the recipe or not! 🙂 Thanks again for another tasty GAPS friendly treat, Mommypotamus!! i want to try these for easter. my mom just learned that she has numerous food sensitivities and is on a detox of sorts. her nd has told her no honey but she can have coconut sugar. i was going to substitute but am wondering if the honey provides something with regards to the consistency of the batter??? Hi VG! I think it helps them to stick together. Coconut sugar may work as a substitute but I’m not really sure. Sorry I can’t be more helpful! thanks for your quick response! i decided to give them a whirl and WOW they were delicious!! I used 4 tbs of coconut sugar in place of the honey and they came out beautifully. rave reviews from everyone. thanks!!! So glad you liked them, Vg! Any idea if almonds would work? Walnut allergies in my house. And pecans. These look wonderful but what are crispy walnuts and will regular walnuts work? I just made them with regular walnuts and they were fine! Of course, it might taste different from the original recipe. I made soup tonight and wanted grain-free rolls to go with it, just so happening upon this recipe. I didn’t have enough walnuts so I halved the recipe using 1 1/2c walnuts, 1 whole egg, 1T quinoa flakes, 1/4t baking soda, 2T honey, 2T coconut oil, a dash of sea salt, and rosemary and nutritional yeast flakes to make them savory. They were really good! I used a cookie dough scoop to drop them onto silpat mats and baked them in the toaster oven. I thought they would spread but they stayed pretty small; yours look bigger in the picture! Anyhoo, I’ll definitely be making these again – great flavor (will probably halve the honey, though). Looking for a grain free biscuit this morning and love them. What are “crispy” walnuts? I am wanting to make these but didn’t know if it meant that I have to brown the walnuts first. BTW I am a huge fan!